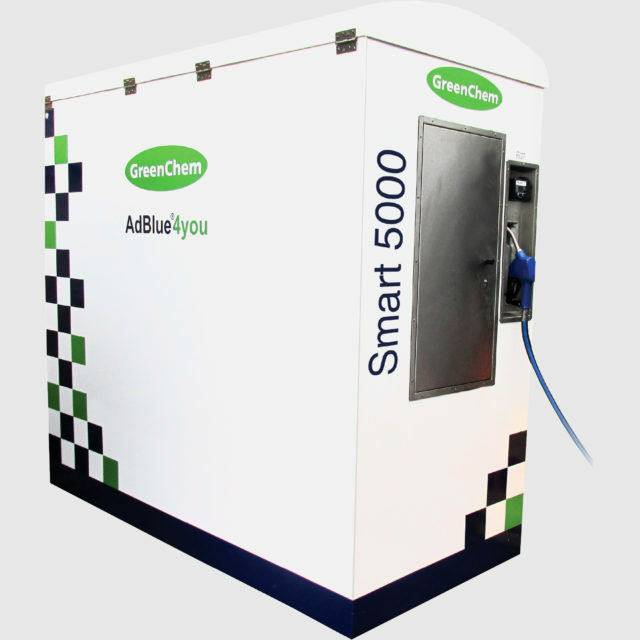 For those with a fleet of trucks or buses, GreenChem has developed the smartest solution to store and dispense AdBlue®. The tank has a capacity of 5000 litres with a dispensing unit. The only quality AdBlue® bulk storage and dispensing tank designed and built by an AdBlue manufacturer. No need to suffer the hassle of IBC’s or checking the level of AdBlue® in your tank. In addition, we can offer an “all inclusive” solution with a fully integrated telemetry system for automatic deliveries.